Take Note: The March #HePicksMyPolish Nail Art Challenge Starts Soon! 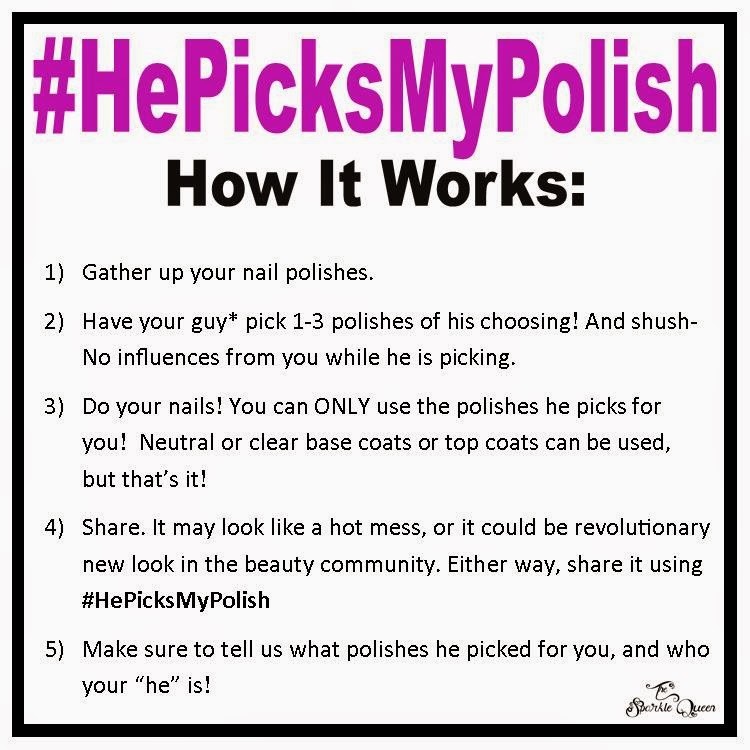 Get ready for the 2nd #HePicksMyPolish challenge of 2015. 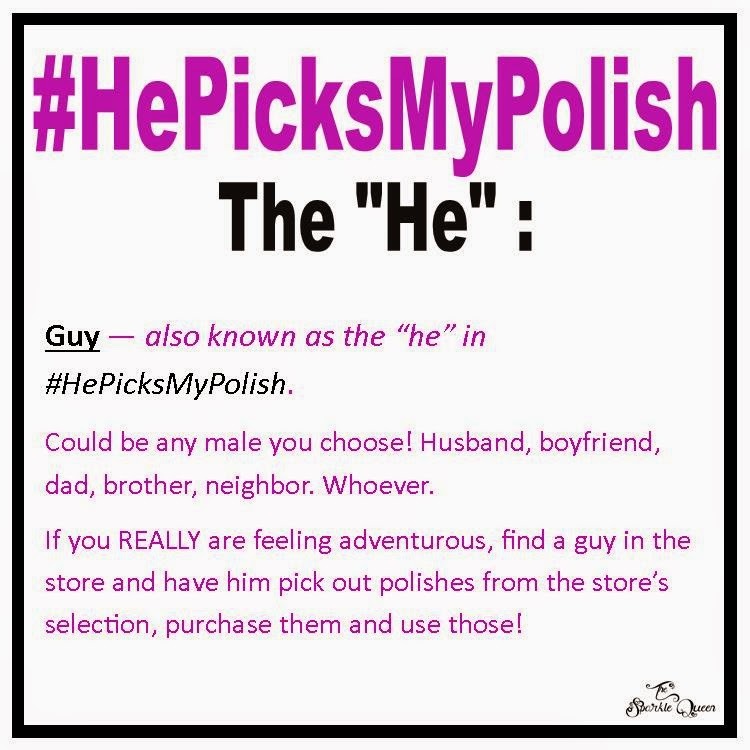 March 8-14 ladies all around the world will be asking their “he” to help pick out their polish. Will the results be revolutionary or disastrous? We’ll see! As always, you are welcome to enter as many looks as you are up to the challenge for- be it 1 or 5 or 25! Open to anyone – if you can link to it, you can share it! Want to join in? You don’t have to be a blogger to join this link party! The “if you can link to it, you can share it” rule applies. Want to share this challenge and entries with an Inlinkz code on your blog? Grab it HERE. And of course, don’t forget to join our #HePicksMyPolish nail art group on Facebook and share your look with us there! DIY Stick to Pick Up Rhinestones and Jewels!